A great company with a long heritage, Love and Quiches came to Linx to rebrand the company and help define key go-to-market strategies in their growing channels. Linx discovered that the true value and meaning behind the brand was the emotion behind the mission and efforts of the company. This concept fuled the brand development and new positioning line - "Desserts from the Heart". Linx helped the company redefine its identity, positioning and graphic standards across the board. Working as a team with the client we crystalized the effort to rethink the Love and Quiches marketing structure and hire top level people to foster internal changes for growth. We all know, content is king! 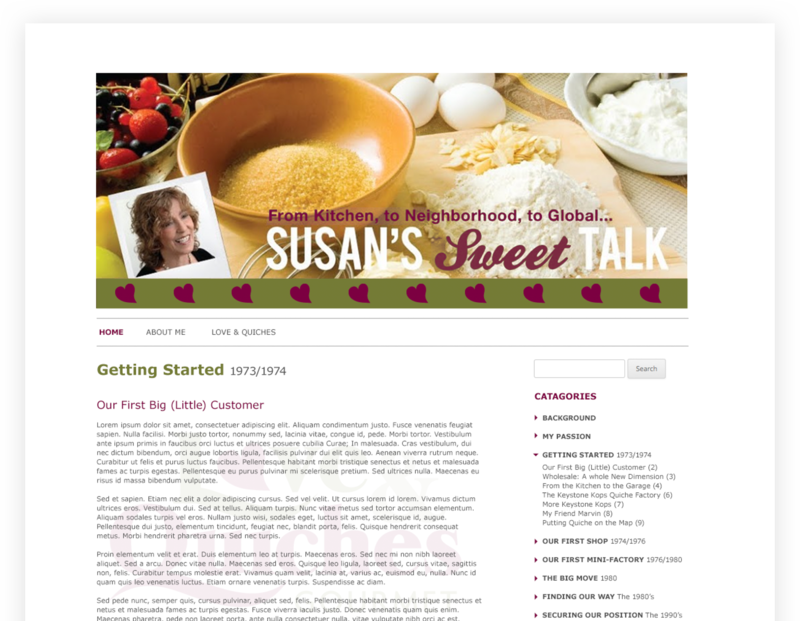 Susan of Love & Quiche's had great stories to share, so Linx branded the website blog as "Susan's Sweet Talk" where she blogs about new happenings in the company, clients, food and more! 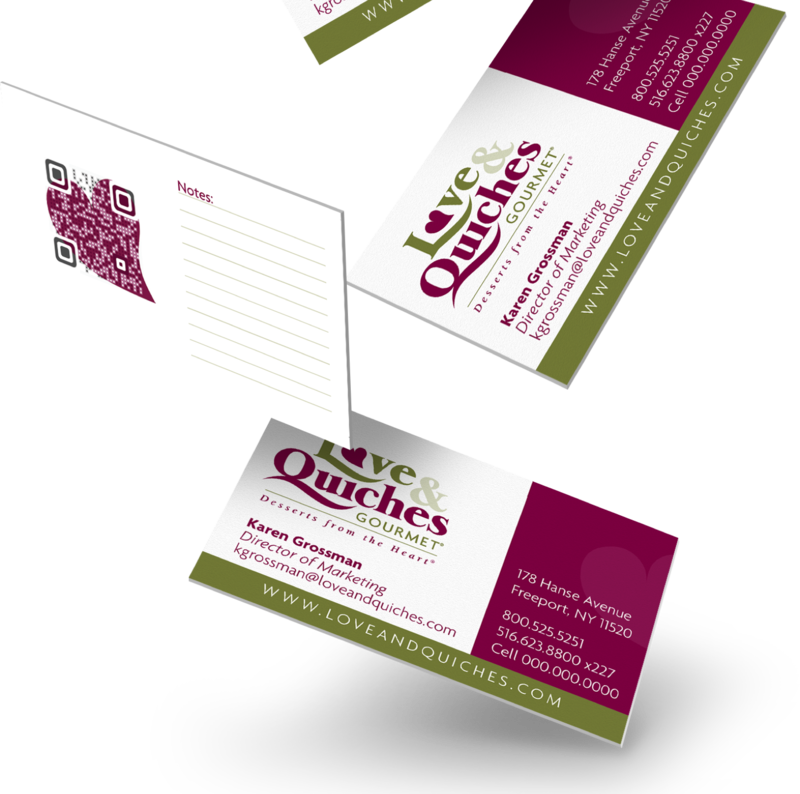 Developed during the height of QR Codes, we wanted to incorporate the technology into Love & Quiche's business cards, but instead of the classic black and white image, we customized it with their brand. Love and Quiches is now a contemporary brand poised for growth over the next decade, growing its products and product lines, forging new channel relationships, and expanding its markets. GVS turned to Linx to completely redesign all its online and offline marketing materials. Specifically, GVS required a solution for a major problem with their existing process for confirming system usage with their members and providers.